Western Queensland PHN was formed as an independent not for profit company by the three Western Queensland Hospital and Health Services (HHSs) to create an entity to foster real partnerships with all funders and providers with an aim to improve primary healthcare service delivery to the people of Western Queensland. 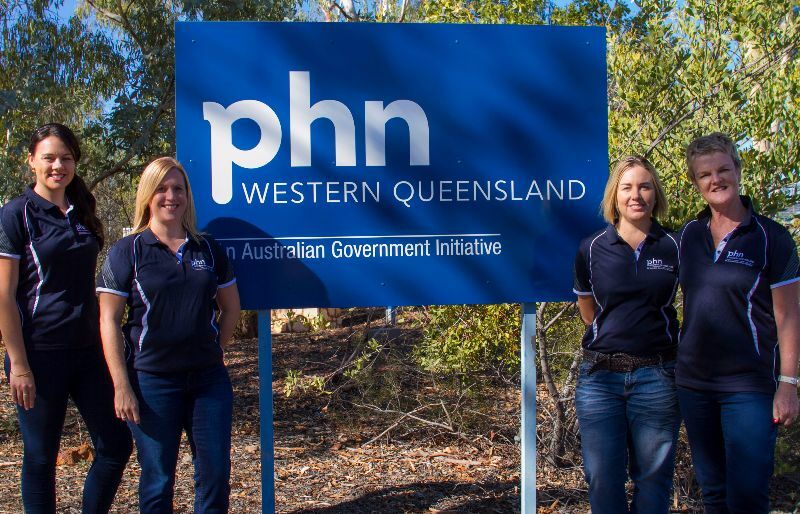 Western Queensland PHN successfully bid for the opportunity to undertake the role, and is one of seven Primary Health Networks (PHN) across Queensland (31 nationally) funded by the Australian Government. The Western Queensland PHN’s goal is to improve the integration of primary care services to create seamless health care in our shared communities across one million square kilometres of Western Queensland. PHNs will be commissioners of services as opposed to deliverers. Working closely with all health service providers in the region the PHN will be identifying where there are gaps in primary health care, and commissioning local providers to cost-effectively provide those services. Western Queensland PHN will bring together and build on the existing health care strengths of the Western Queensland region to reduce waste, eliminate service duplication and build a sustainable and integrated system that places the patient at the centre of care.